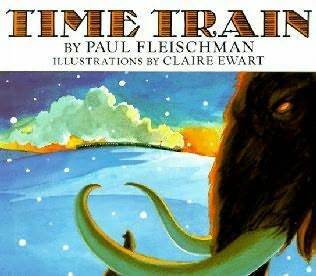 Paul Fleischman's novels, poetry, picture books, and nonfiction are known for their breadth, innovation, and lyrical language. He's won the Newbery Medal for Joyful Noise: Poems for Two Voices, a Newbery Honor for Graven Images, the California Young Reader Medal for Weslandia, and was a National Book Award finalist for Breakout. His book Seedfolks has been used in citywide reads across the country. In 2012 he was the United States' nominee for the Hans Christian Andersen Award for the body of his work. Visit www.paulfleischman.net. Paul has written wordless books and he's written an opera, but he always comes back to picture books. He touches on length, age level, and how picture books are mediated by an adult and what that means – and doesn't mean – in terms of vocabulary and subject matter. "The best picture books can be enjoyed by all ages." Models to consider: ballads, songs, lyrics - and how they leave out a lot. "Does your idea require art? If you can imagine your story without art, a picture book might not be the way to tell it." "Weigh every word." And then he adds that that is "good advice for all genres." And when he has things that happen in his story that aren't in the text? Like the moment in his own "Time Train" when the text says, "some passengers got on in Pittsburgh" but it's Civil War Soldiers who are walking into the train car? Paul finishes the session with questions, and his answers cover so much more.